1) No need to worry about breaking your countertop in case something hard is dropped on it accidentally. 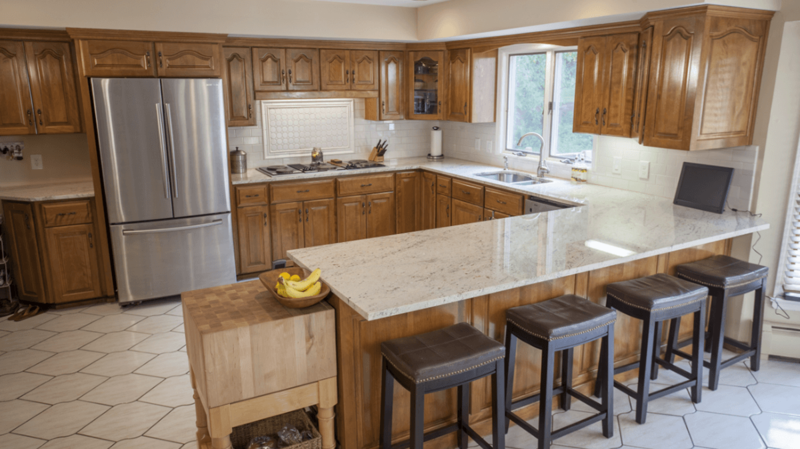 2) As it is scratch resistant therefore granite countertops provide you with the facility of using it as a support for cutting vegetable and other kinds of stuff. Maintenance is very easy and simple as well. No need to use special cleaning enzymes to clean your granite countertops. You can clean the countertops by using any mild detergent. The glow and attraction of granite countertops are of permanent nature. You would have a unique kitchen top if you go with this. This is because since granite is a natural stone, no two pieces of them can be same. You will have a unique, one of a kind tabletop for sure. There are thousand different colors, types, design, feels etc. you have loads to choose from. The base color remains the dame but the shades vary a lot. Granite can never go out of style. This has been here for ages and will continue not fading away anytime soon. While other materials rise and fall in their popularity rate, this material maintains its top position always. Since the kitchen is always in use it needs to withstand the constant pressure and working upon, the material used for the table top needs to be strong and easy to manage and maintain. The granite countertops for the kitchen just needs to tighten over the years and to be cleaned with water and soap, that is all. Granite also increases the home value. If you are selling off your homes and have granite counter tops in your kitchen and bathroom they are bound to impress the buyers. Granite looks neat and makes the surface look wider thus attracting people. This increases the home value. Get cheap granite countertops from granite countertops in Snellville GA and have your kitchen decked up in your budget.